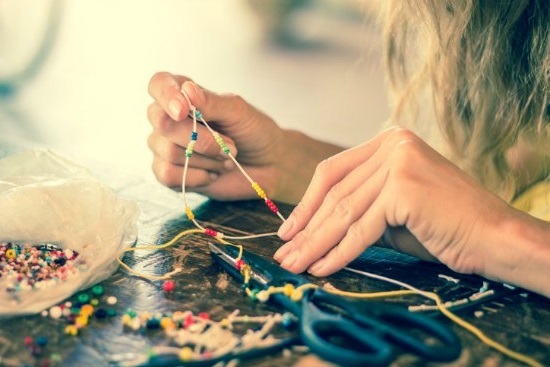 Should You Start a Handcrafted Jewelry Shopping Service? I recently learned of a new opportunity for selling handmade jewelry that would work well for a jewelry designer who lives in a larger city where there are a lot of professional women. This business could be started with very little overhead and risk and could be a natural extension to your current jewelry business. What is this business? It’s a handmade jewelry shopping service. You’ve probably heard of personal shopping services that are popular in large cities where there are career women who don’t have time to shop for clothing but are required to look good for their jobs. Why not provide the same service for jewelry? 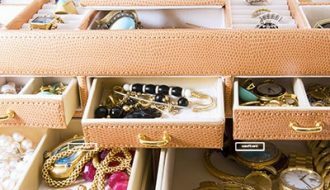 You could offer to come into a client’s home, review their wardrobe, and make suggestions for the jewelry they need to complete their outfits. Of course, you would supply the jewelry which would be entirely handmade by you. You could offer to do custom designs for the woman who wants truly unique pieces that can’t be found anywhere else. Otherwise, you would look through your current inventory of designs and use these to coordinate with the client’s outfits. I would advise offering this service in a city that has a population of at least 100,000. You would expect a city of this size to have a certain number of career women who would be interested in your services. To market this idea, you could approach large companies in your area with brochures outlining your services and see if they would be willing to display them in a prominent area such as the business cafeteria or other area with high traffic. You could also discuss with the business the possibility of using your handmade jewelry for corporate gift giving which would be another source of revenue for you. In your marketing materials, you could emphasize how unique, handmade jewelry makes a special, one of a kind statement that can transform an ordinary outfit into an outfit that sends a message of style, good taste, and power. You might want to show photos of an outfit without jewelry next to a photo of an outfit accessorized with your handmade jewelry. You could also emphasize the time saving aspects of your business. You bring the jewelry to them so they don’t have to take time away from their busy schedule to shop for it themselves. You’d be surprised at the number of professional women who are not comfortable with selecting their own jewelry or accessories and would love to have an objective, outside opinion on what would work with their current wardrobe. You may want to consider putting together a portfolio of photos showing outfits which you’ve coordinated with interesting jewelry to show your clients what you’re capable of. Let them know there’s no risk to them. If they don’t like your suggestions, they’re under no obligation to purchase your jewelry. When your clients find out your jewelry shopping service is essentially risk free, they’ll be eager to give you a try. If you’d like more information on how to start this business, you can do no better than this guide.It’s the only source I know of that will tell you exactly what you need to be successful in this business. Plus, this 115 page book is packed with a tons of ideas for finding clients and making this business a success. The author who is a well known expert in marketing jewelry has tested these strategies herself and has proven they work. Don’t miss out on reading this extremely helpful guide. It may just add a whole new dimension to your jewelry business. How to Use Blogging to Boost Your Jewelry Sales!